Distance Learning MBA in Finance: MBA Finance is one of the most preferred MBA Specialization among students wants to join an MBA Distance MBA in India. Getting a Degree in MBA Finance may bring you a high paying job in the Banking & Finance industry. The Indian Banking sector has seen exponential growth since 1991 primarily due to liberalization granting a license to small private banks—the so-called new generation tech-savvy banks. Due to this, there are a large number of opportunity for students wants to get an MBA Finance Distance Education in India. There are many top universities in India offering distance learning MBA programme in Finance. In our today's post, we'll mention what are the top universities in India offering MBA finance through distance learning mode. Sikkim Manipal University is one of the top university in India offers a distance MBA programme in Banking & Finance. Any graduate with 3 years working experience can join this programme. The minimum duration of this course is 1.5 years & maximum is 3 years. As of now (December 2012) the fee for this programme is Rs. 17,300/- per semester. For more information, you can visit SMU Distance MBA in Finance & Banking. Institute of Management Technology Ghaziabad is another top University offers one-year post graduate diploma in financial management. 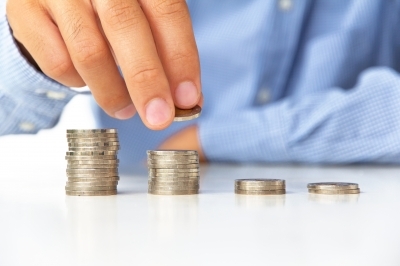 The programme takes a realistic look into the broad aspects of Financial Management and relates theories, tools, and techniques to practical experience. It also provides exposure to the prevailing financial environment in the country. The candidate is a Graduate in any discipline. No admission test is required. As of now the fee structure of this programme is Rs.25,000/- per semester. Visit IMT PGDFM for more info. Lovely Professional University (LPU) also offer a two-year distance MBA in finance. A graduation degree is must to join this programme. The programme fee is Rs.9900/- per semester & exam fee is Rs.800 per semester. Visit http://www.lpude.in for more information. Although ICFAI university doesn't offer a specialized programme in finance you can choose Finance & banking as an elective in the second & third semester. The MBA Program of the University prepares the students with the knowledge, skills and strategic perspectives essential to business leadership and managerial career in the world. 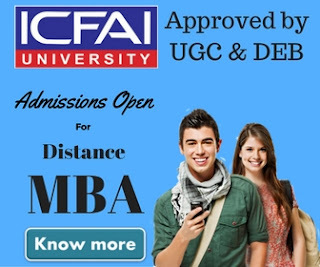 Visit ICFAI Distance MBA. One of the most recognized management institutions in India, Symbiosis, also offers a 2 years Post Graduate Diploma in Banking and Finance. Graduate in any discipline, from a recognized University, is required for admission into symbiosis distance learning MBA finance programme. The Post Graduate Diploma in Banking & Finance provides an innovative, comprehensive & rigorous program to prepare future banking professionals. Visit Symbiosis MBA finance distance education (PGDBF). Amity School Of Distance Learning is another top university in India offer 3 years Master in Finance Management (MFM) course. The programme is available in correspondence Mode, distance Learning mode & online mode. The fee is Rs.36,000, Rs.51,000 & Rs.66,000 respectively. Amity School of Distance Learning (ASoDL) has been providing world-class Distance Education to thousands of students and working professionals across India, since the last 6 years. Visit ASODL. NMIMS also offers a one-year diploma programme (Diploma in banking & finance management) aims at providing basic knowledge on accounting and finance to managers. It also deals with capital investment and capital management. The programme has been specially designed for those who want to aspire to make a career in banking and finance. Visit NMIMS. 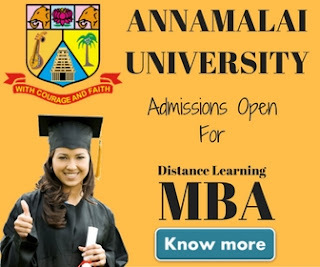 There are many other universities in India offering MBA Finance distance education but we've included only those which we thought to deserve to be in the list based on popularity. If you wish we should include some other universities please comment below.